Background Processing. 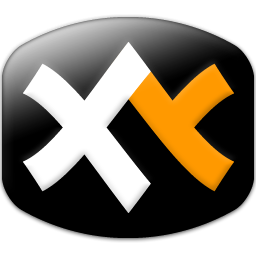 Now you can continue working in XYplorer while heavy copy jobs are processed in the background. 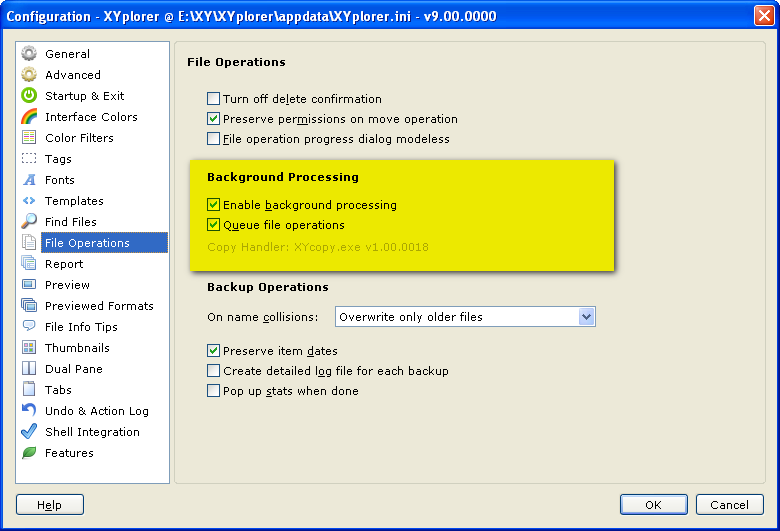 Enable Background Processing in Configuration | File Operations. By default background processing is applied to copy and also to move operations when they are across volume boundaries, i.e. when bytes are copied. Moves within volume boundaries just update the MFT (master file table), so they are very fast and do not need to be backgrounded. Also Rename and Delete operations are not backgrounded by default. From version 9.10 onwards these default settings can be customized. Queued File Operations. Background file operations can optionally be processed sequentially (in a queue), which is often far more efficient than processing them in parallel. There is also a handy toolbar button for this setting (Screenshot from v9.40). 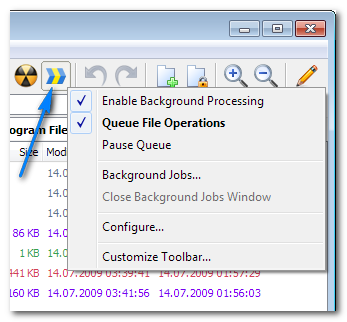 The right-click menu of this button has an item Background Jobs... where you can display the background file operations that are completed, in progress, or pending within the current session. You will also see which copy jobs have been cancelled or only partially completed. Status of all background file operations within the current session. The data can be exported to the clipboard via the list's context menu. 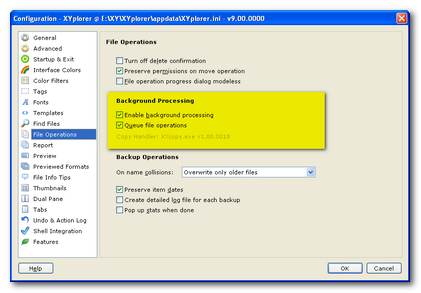 Interface and functionality of Background Processing and Queued File Operations have been improved in version 9.10! Remove Diacritics. 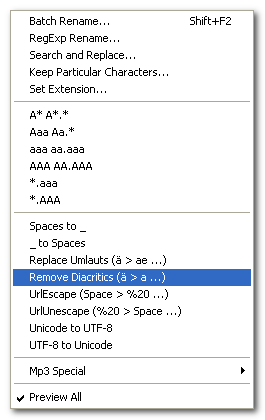 A special rename command to strip any diacritical marks from the letters in all selected item names, e.g. "Köln" > "Koln". The Rename Special context menu with an array of useful rename options. Raw View. Now UTF-16BE (Big Endian) files are supported when they have the UTF-16BE BOM (Byte Order Mark). 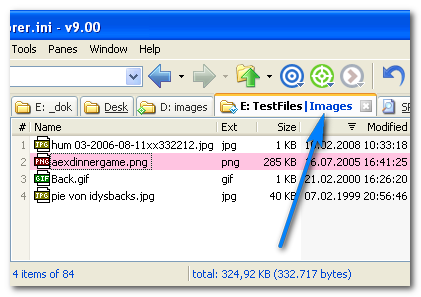 The caption "Images" describes a list of extensions. The caption describes the effect of a visual filter. Here a caption describes the meaning of a (potentially complex) RegExp pattern. RegExp patterns are marked by a preceding > character.